Prayer Beads are hard to come across in Sekiro: Shadows Die Twice, but this guide will lead you right to them. Prayer Beads play a huge role in Shadows Die Twice, and they're the only way you can upgrade your vitality and Posture meters. In our Sekiro Prayer Beads guide, we'll be providing you with a complete list of all the locations at which you can find and obtain Prayer Beads in the game. As it happens, you can mainly claim Prayer Beads by defeating sub-bosses in Sekiro: Shadows Die Twice. Just below, we've compiled a list of all the sub-bosses that we've found so far in Sekiro: Shadows Die Twice. Next to the name of each one, we've listed the location in the game where you can find them. All the sub-bosses listed above will grant you Prayer Beads when you defeat them. 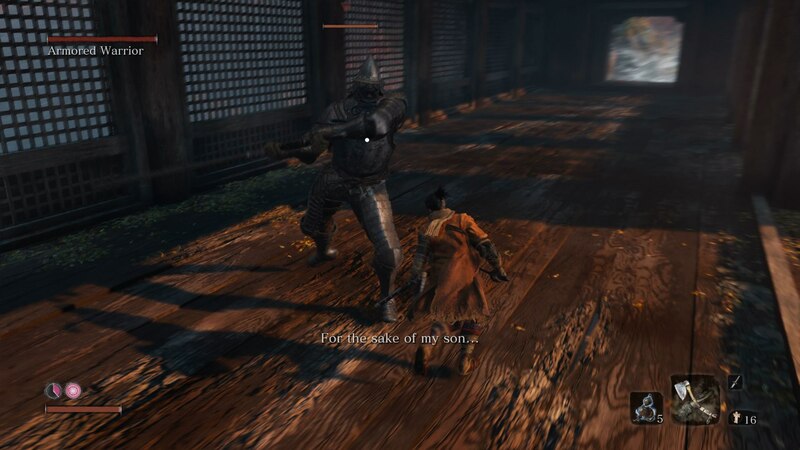 Note that you can't rinse and repeat sub-bosses in Sekiro, because once you defeat them, they're gone for good, just like main bosses. But there are also other sources in Sekiro through which you can get Prayer Beads without fighting anyone. Just below, we've compiled a list of all the Prayer Beads that can be found while exploring Shadows Die Twice. Near the Upper Tower - Antechamber Sculptor's Idol is a room with two blue samurai sitting on the floor. Behind them is a wall with two sets of armor. Behind this wall is a hidden area with a chest containing a Prayer Bead. 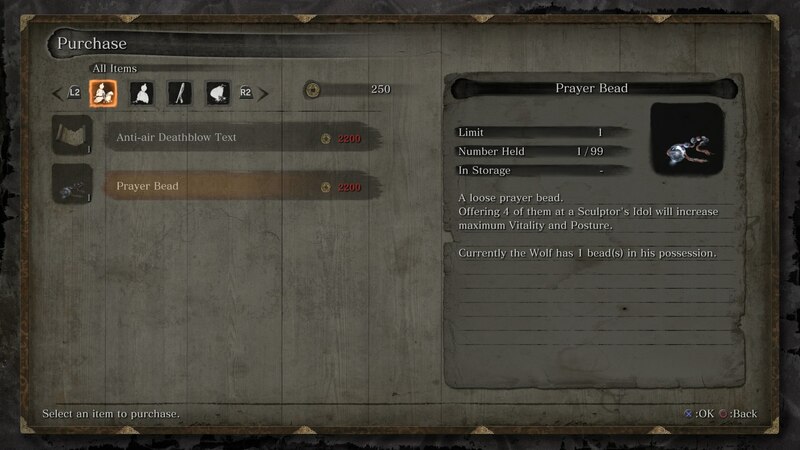 In the later stages of Sekiro, a Prayer Bead can be purchased from the Offering Box for 2,200 Sen. Prayer Beads are an item in Sekiro: Shadows Die Twice that lie dormant until you've claimed four of them. 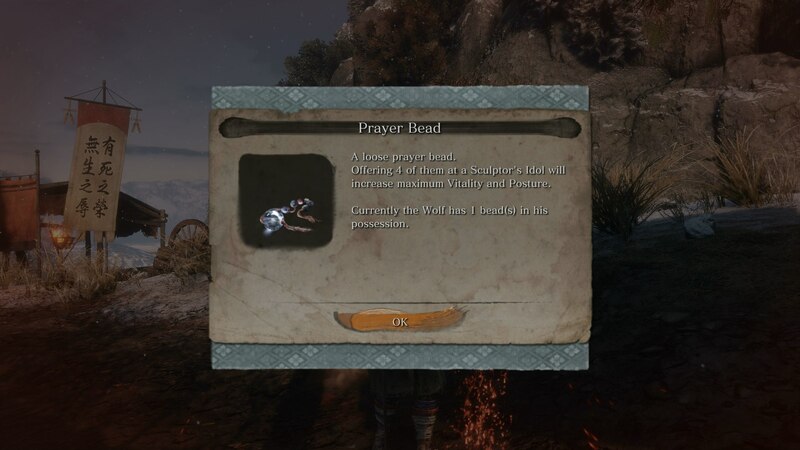 When you've claimed a fourth Prayer Bead, the beads will combine into one single item that permanently increases the health and Posture meter of Wolf throughout the rest of the game. They're by no means easy to find, but Prayer Beads are a pretty essential item for surviving Shadows Die Twice.